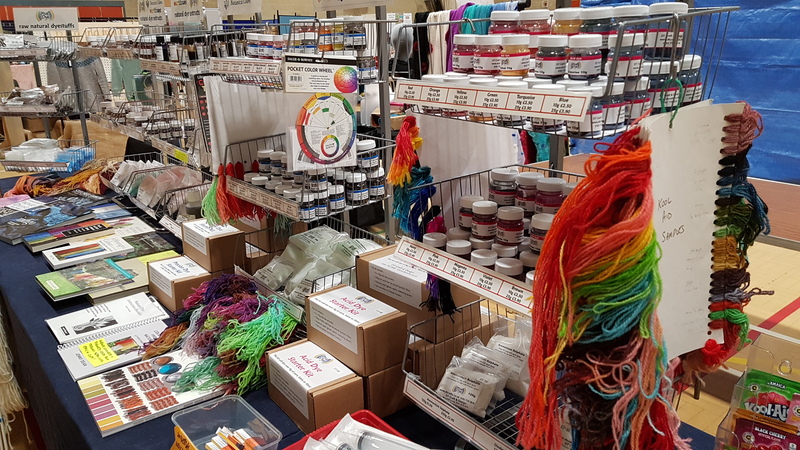 This month we were delighted to start our show season with a new (to us) yarn show, Spring Into Wool. Held at The Grammar School at Leeds, it was a lovely weekend. A good selection of traders, well-organised and a good venue, too. There were also demonstrations and workshops to introduce visitors to the Guilds and to learn a new skill. Thank you to the organisers Natasha, Nick and Dave, to the Guilds for sharing their skills, to all our fellow traders and of course to the visitors. See you next year!